Last week we spent a few days holiday at a hotel -out of town. 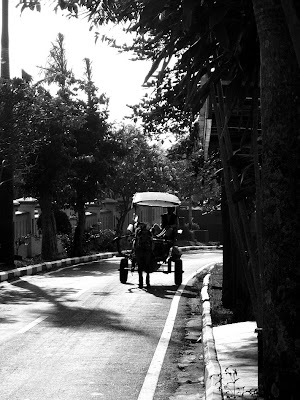 One morning, when I was walking around in the front of the hotel, I saw a horse-drawn buggy nearing. This is so nice in B&W! Have a great weekend! How lovely! You've taken a fine photo of this old transport.